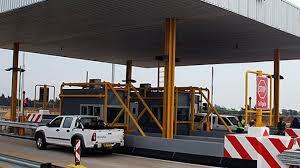 A supervisor at the Gweru South tollgate has been arrested for allegedly stealing about $11 000 collected as toll fees. Frank Tendai Mushonga (39) from Gweru appeared before Ms Mildred Matuvi facing one count of theft. Mushonga pleaded not guilty to the charge. “I did not steal any money from the company. I banked all the money I had collected from the toll collectors into the company’s NMB bank account,” he said. Ms Matuvi remanded him out of custody on $100 bail to January 31 for continuation of trial. The State led by Mr Bernard Nyoni called witness Mr Malvin Moyo who is the acting Route Operation Manager for the western region toll gates who told the court that Mushonga as the supervisor for the Gweru South tollgate signed for the money he received from cashiers which he was allegedly supposed to bank. “Mushonga would accept all float cash from the outgoing supervisor and from the toll collectors. He signed for the receipt of the money on the toll collector declaration form and the supervisor consolidation form,” he said. Mushonga, the court heard, worked for the company since 2013 when he was a toll operator until he was later promoted to be a supervisor at the tollgate. His duty amongst others was to receive money from Toll Collectors at Gweru South Intertoll Zimbabwe Toll gate and bank the money in NMB bank. The court heard that Mushonga collected money that had been collected by the toll operators from August 2017 to June 2018 in order to bank the money for the company.